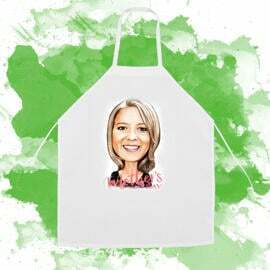 Order a beautiful apron with customized cartoon drawing from photo by Photolamus artist. 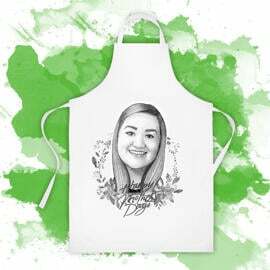 Photolamus will draw a personalized cartoon portrait from regular photos. 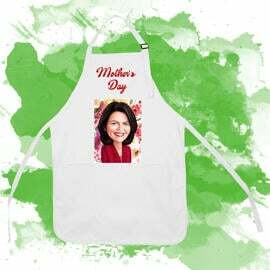 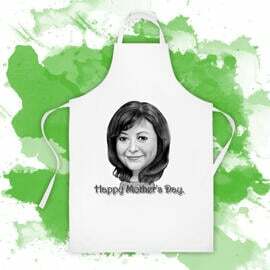 Get an original photo apron for your family kitchen or order an apron for making a gift to your mother on Mother's Day. 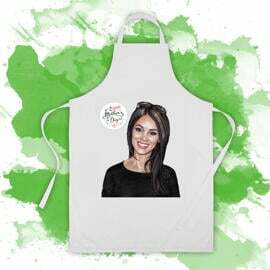 We will deliver you a fantastic apron with printed cartoon portrait which will be drawn in colored pencils style featuring custom text or our designs and flowers patterns. Photolamus will create a unique cartoon portrait for printing on apron as an original gift for any woman on Mother's Day. 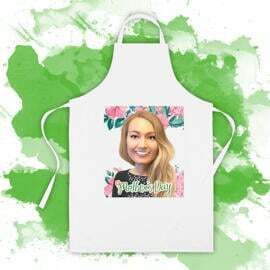 Upload a photo and get an apron within two or three weeks by post. 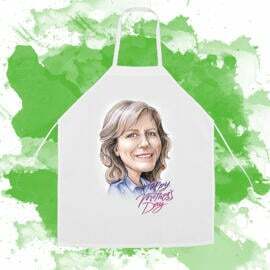 We can ship your apron in USA, Australia, UK and Europe.